Back to Home Back to News & Tour Back to Tour news Back to 2015 Back to November Back to Fantasy Golf tips: Who is going to win the DP World Tour Championship? 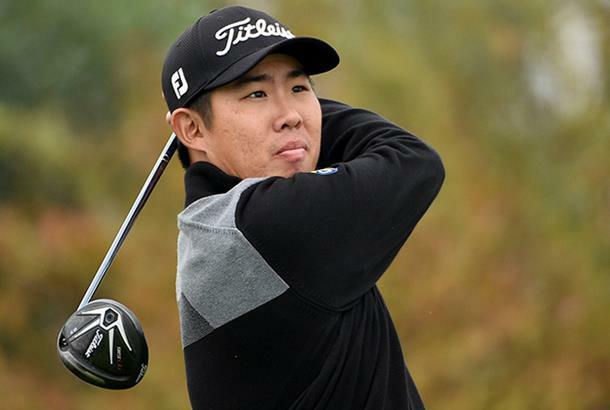 Fantasy Golf tips: Who is going to win the DP World Tour Championship? The Race to Dubai comes to a close this weekend, with the DP World Tour Championship signalling the conclusion of the European Tour season and bringing Today’s Golfer Fantasy Golf to an end until 2016. There are double points available for this event, so it’s a last chance to make some big moves in your Fantasy Golf leagues. At the end of a long season (this is the 48th European Tour event), only the European Tour’s 60 top ranked players are eligible for the DP World Tour Championship. Rory McIlroy leads the way in the Race to Dubai standings, with Danny Willett hot on his heels. The likes of Justin Rose, Shane Lowry, Louis Oosthuizen and Branden Grace are further back, but still in with an outside chance of taking home The Harry Vardon Trophy if they win and McIlroy and Willett both falter. 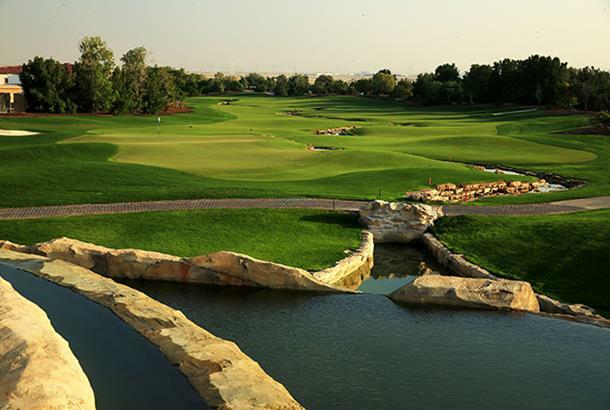 The Greg Norman-designed Earth Course in the Jumeirah Golf Estates has hosted the event since its inception in 2009. It’s a lengthy 7,675-yard par 72, with generous fairways and large, undulating greens. There’s water in play on the last three holes, creating the potential for late drama. The 17th is a par 3 with an island green, whilst the 18th is a par 5 with water in play on every shot. It’s hard to bet against someone who’s going for their third straight win at an event. Stenson and McIlroy are the favourites for this event, but with McIlroy struggling with the putter and Stenson showing good form at last week’s BMW Masters, where he finished just one shot outside the playoff, we’re backing the Swede. 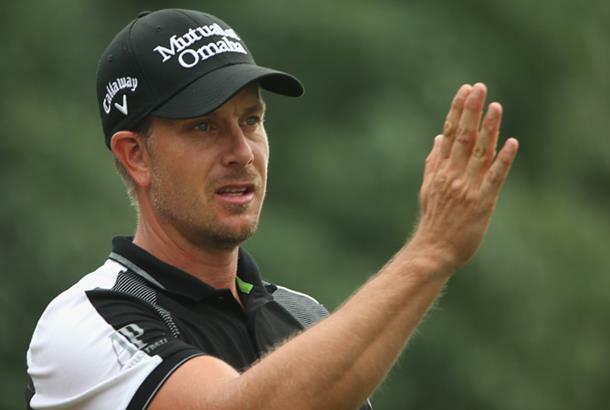 Stenson can’t win the Race to Dubai from his current position of 16th, but he’s won here two years in a row, and boasts an amazing stat of only having missed nine greens of the last 109 holes he’s played at the Earth Course. We don’t feel comfortable leaving out Rory McIlroy, but there’s not much to pick between the two of them, which means £7.5m McIlroy misses out. Rose, currently third in the Race to Dubai, finished second here in both 2012 and 2014, but will need to win if he's to have a chance of overtaking McIlroy and Willett. With a respectable tenth-placed finish sandwiched between those results, he clearly knows his way around the course. He described his iron play at last week's BMW Masters as "terrible", but still managed to finish T7. That result followed a win in the UBS Hong Kong Open, which came on the back of T2 and T6 finishes at the Tour Championship and Frys.com Open. At an event where the big names tend to rise to the top, expect world number five Rose to be right in the mix. The man with the best chance of stopping McIlroy from defending his Race to Dubai crown is world number 21 Danny Willett. Willett had a solid but unesciting week at the BMW Masters, finishing 28th, but shot a sparkling 62 in the final round of the WGC HSBC Champions the week before to finish T3. Taking home The Harry Vardon Trophy would be a fitting finale for the Yorkshireman whose fine season has seen him pick up two European Tour victories. World number 19 Branden Grace is another to have shown a liking for the Earth Course, having finished sixth in his debut in 2012 and ninth last year. He improved throughout the week at last week's BMW Masters, showing good form with the putter, which is likely to be key here on greens that are big and quick. What a debut season 21-year-old rookie Fitzpatrick has had. Victory at the British Masters was the highlight of a season that has featured eight top-ten finishes. Recently crowned the European Tour's player of the month for October, Fitzpatrick heads to Dubai off a run of results that reads 1, T3, T26, T7, T13. There's nothing to suggest he can't make big things happen on his tournament debut at the DP World Tour Championship, adding further weight to his claim for a Ryder Cup spot in 2016. Hun An would need an unprecedented disaster showing from both McIlroy and Willett to have any chance of winning the Race to Dubai, but that won't stop one of the season's other strong rookies from doing everything he can to top off a fantastic year. He finished a shot outside the playoff at last week's BMW Masters, where a T3 finish meant his second top-four in November. Hun An is favourite to take home the Sir Henry Cotton Rookie of the Year award, but the battle between he and Fitzpatrick will provide another fascinating story to follow in Dubai this week. The DP World Tour Championship starts at 3.40am GMT on 19 November, so make sure your team is finalised by then.